In a sport with a long history of myths and legends, there may be no bigger point of contention than the notorious milk dud tips. And no, we aren’t talking about those delicious, chewy candies. So, what’s the deal with these tips? Do they work, or are they nonsense? That’s what we aim to find out! 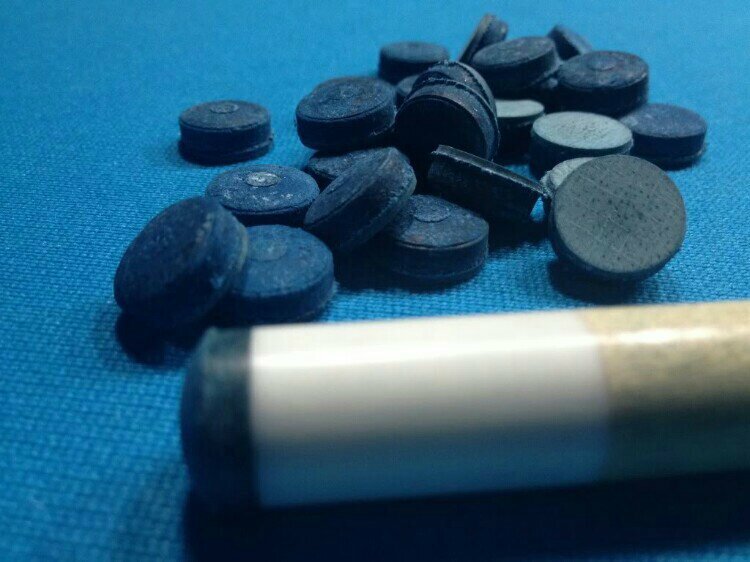 But before we even get to talking about milk dud pool cue tips, let’s talk about the two main types of tips – Solid leather and layered leather. Solid leather tips are the most traditional style of tip. Popular examples include Le Pro, ElkMaster, and Triangle. Basically, they take a large piece of leather and punch a solid tip shaped cylinder out of it. Because they come from a real piece of leather, minor blemishes and defects in the leather itself can cause these tips to be a little inconsistent, and tiny gaps in the leather can cause issues like mushrooming, which can then lead to miscues. Regardless of that, these tips are incredibly popular, usually inexpensive, and they’re still preferred by a lot of old-school shooters to this day. Because of the inconsistencies in solid leather tips, companies developed layered leather tips in the 1990s and tips from companies like Tiger, Kamui, and Moori have been popular ever since. Layered tips are made by stacking anywhere between six and ten thin sheets of leather on top of one another and then punching out 14mm cylindrical tips. This modern process has greatly increased the durability and consistency of tips, and layered leather tips are the most popular style today. Now that we took care of that, let’s get to the question at hand! What is a milk dud tip? For those who don’t know, milk duds are soft solid leather tips, usually ElkMasters, that have been soaked in milk and then compressed to a certain thickness or hardness. The amount of soaking time varies, but it seems like most people do it for around 24 hours. The idea is that by soaking these tips in milk, the fats in the milk are absorbed evenly by the tip, bonding to the leather causing it to swell up. Once the tips have been thoroughly soaked, they are then compressed, often between two steel plates or in a vice-like cue tip press. The compression dries out the tips, makes them denser, and hopefully gives them a more uniform hardness and feel. In short, you take soft tips and make them harder with milk and compression. Why use a milk dud tip? So that’s how they’re made, but what makes them good? And how are milk duds vs. Kamui tips, or another layered tip like that? Well, the people who use milk duds absolutely love them. They say that this process gives you a tip that both sticks to the cue ball and keeps its shape. It gives you the spin of a soft tip, and durability of a hard tip. Pretty wild, right? People even break with them. But, there’s no clear consensus on the best way to make them, and there are many different milk dud cue tip recipes. Some call for 2% milk, while other suggest buttermilk or half & half. Some folks think that they need to be soaked in warm or even hot milk, while others advocate drying them in an oven after pressing. 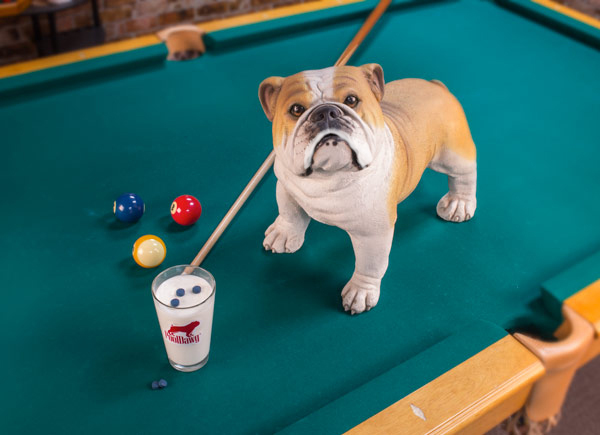 Some people even mix tequila in with their milk, but that just seems like a waste of good alcohol to us! We want to know what you think! Have you ever used these tips before? Did you make them yourself? What recipe did you use? Do you think milk dud tips are fact or fiction? Send us an email to info@pooldawg.com or comment on our Facebook page. We’re going to keep researching these tips and we’ll let you know if we get any new information!